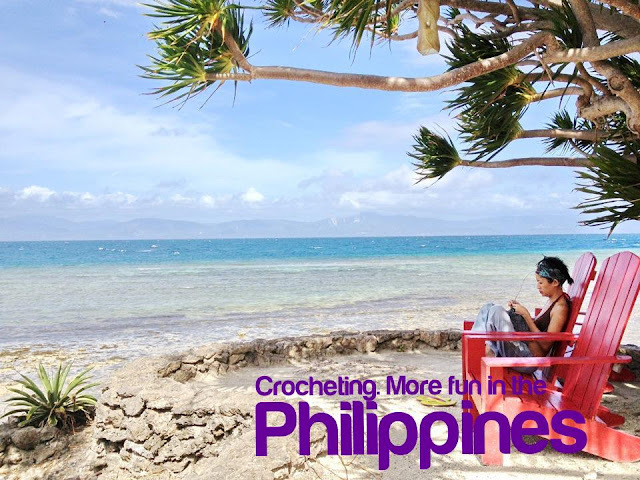 If you plan to give a lot of people something crocheted, choose something simple, classy, and pretty useful. 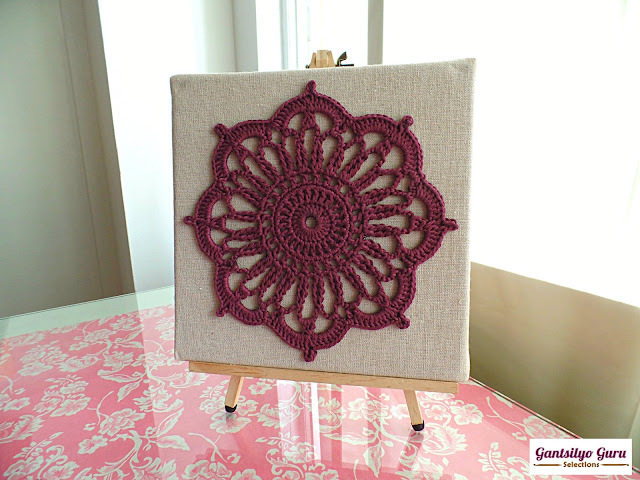 I have some gift suggestions which you can consider, starting with this simple motif on a fabric board. 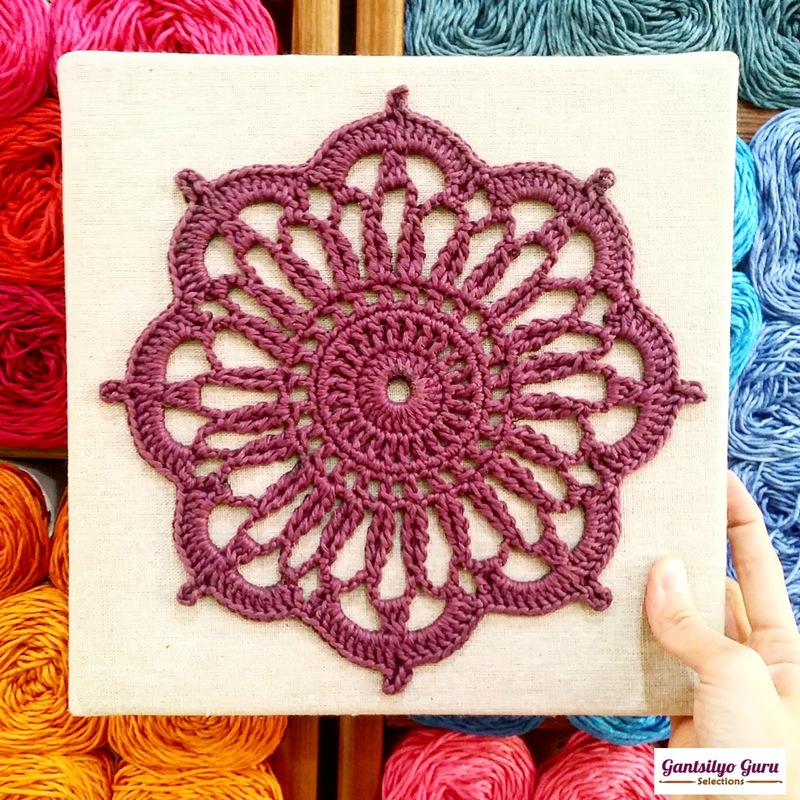 The idea here is to crochet any motif pattern you want using any Light (3) or Medium (4) yarn and put it on any fabric board. This is a nice decor which you can hang on your wall or simply display on any table or shelf. 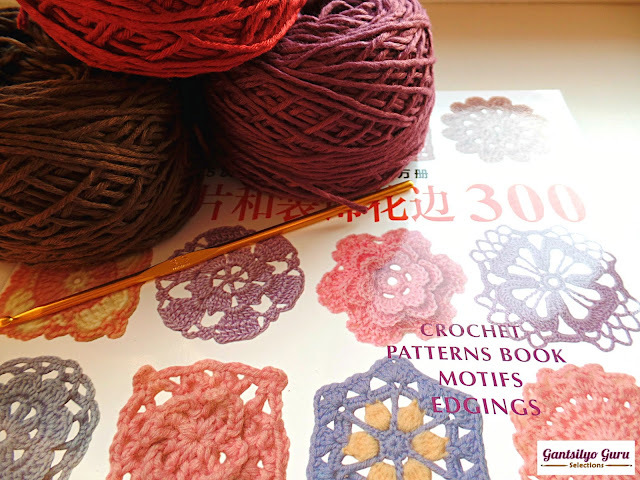 I got the pattern from a Japanese pattern book with 300 motif designs (you can buy another version of this book here). This book has really nice motif and edging patterns. Even if you don't understand the language but have a good grasp of crochet symbols, you'll be able to use this. This book is available HERE. 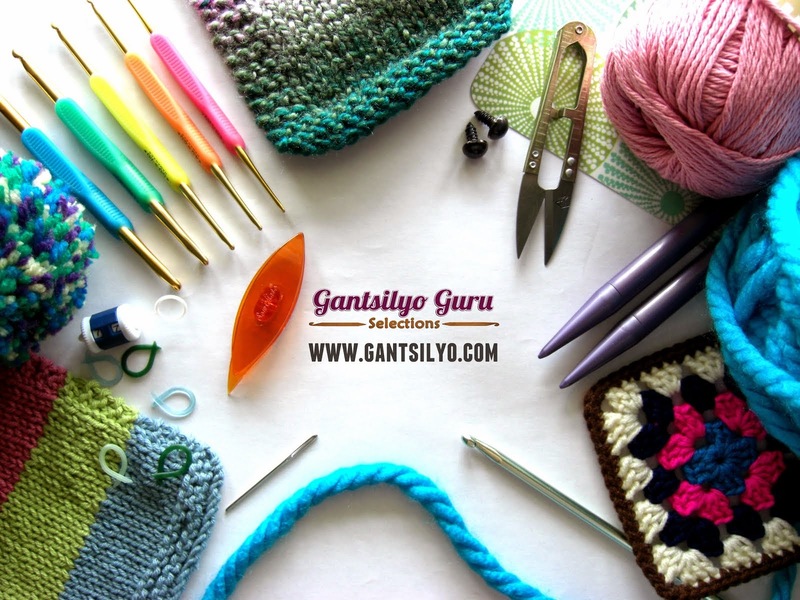 I specifically chose Gantsilyo Guru Balinese Cotton Blend for this project because it holds a good shape and has a really nice sheen to it. The finish of this yarn is clean. It is also really nice to work with. 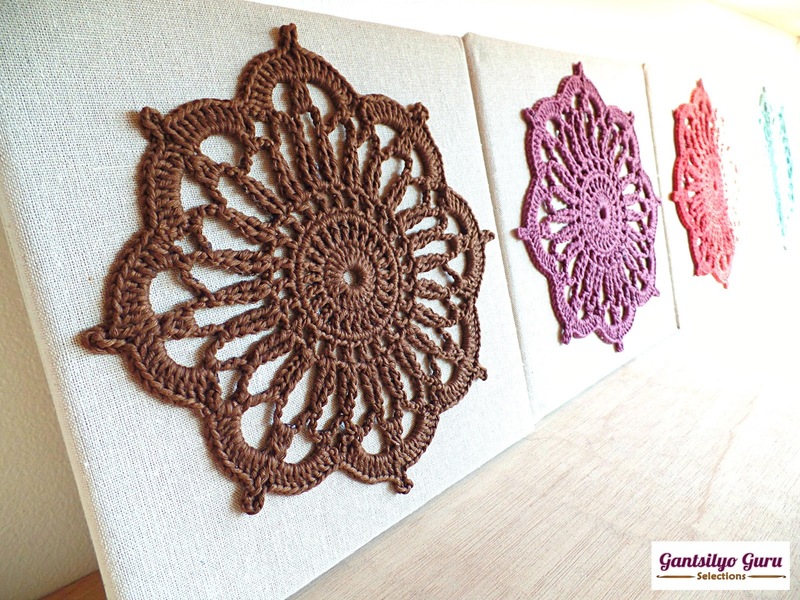 After crocheting your motif, bring out your paint brush, Mod Podge Fabric Finish, and fabric board. I got the fabric board from a Japan Home store in Greenbelt. It was a (lucky) chance purchase. I saw some and bought 4 boards. 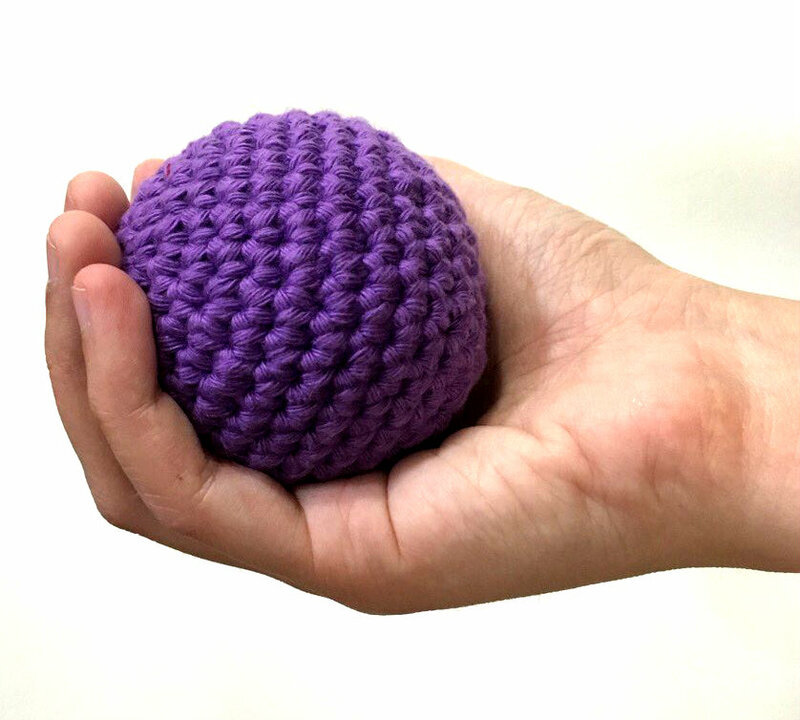 If you are not able to buy one, you can make one! I have seen several DIY tutorials online for fabric bulletin boards or cork boards, and I guess you can get ideas from those to be able to make your own fabric board. This one measures 10 in. x 10 in. 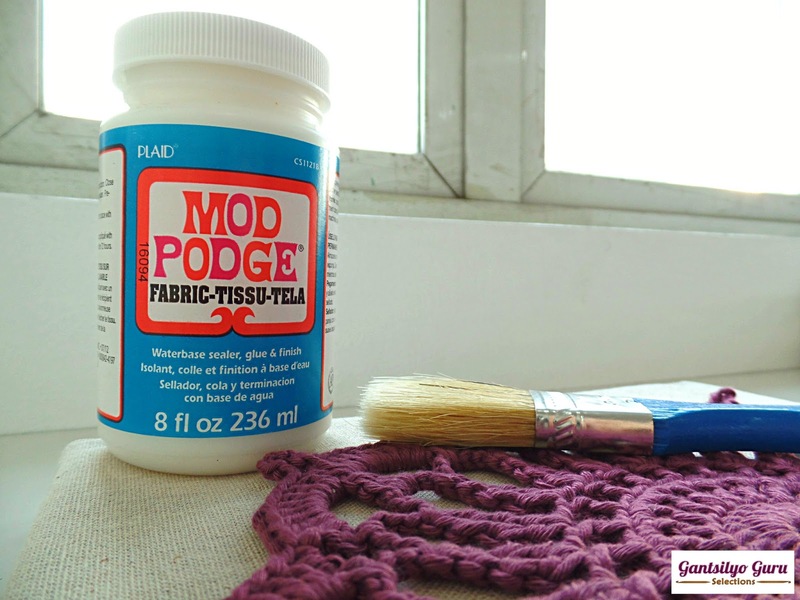 On the wrong side of the motif, apply Mod Podge with your paint brush. 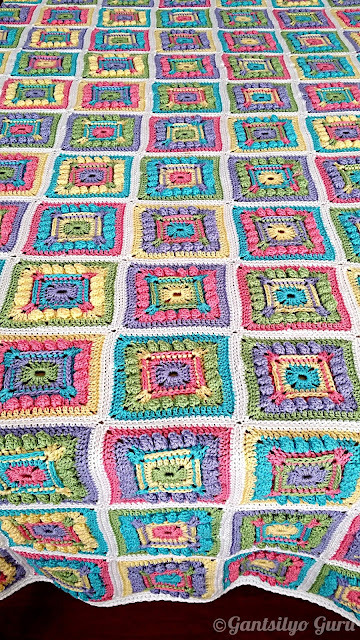 Don't be afraid to dabble generous amounts of it evenly (flat) on the motif. Mod Podge dries up clear, so don't worry about it being seen. Just avoid having "solid" portions so they won't look like "stubbles" when they dry. You can use a toothpick to remove those or spread them. Flip the motif and position it flat on the center of the board. Leave it flat overnight to dry. Ta-daaa! 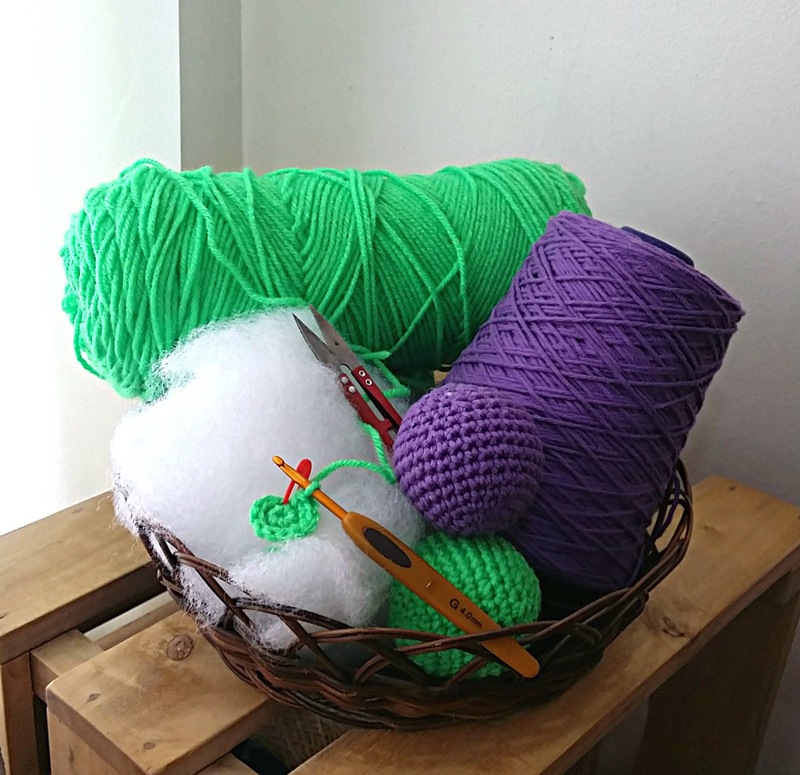 I think I was able to crochet one motif in less than 10 minutes. I am not so sure but I think one ball of the yarn can make 3-4 pieces of this pattern. 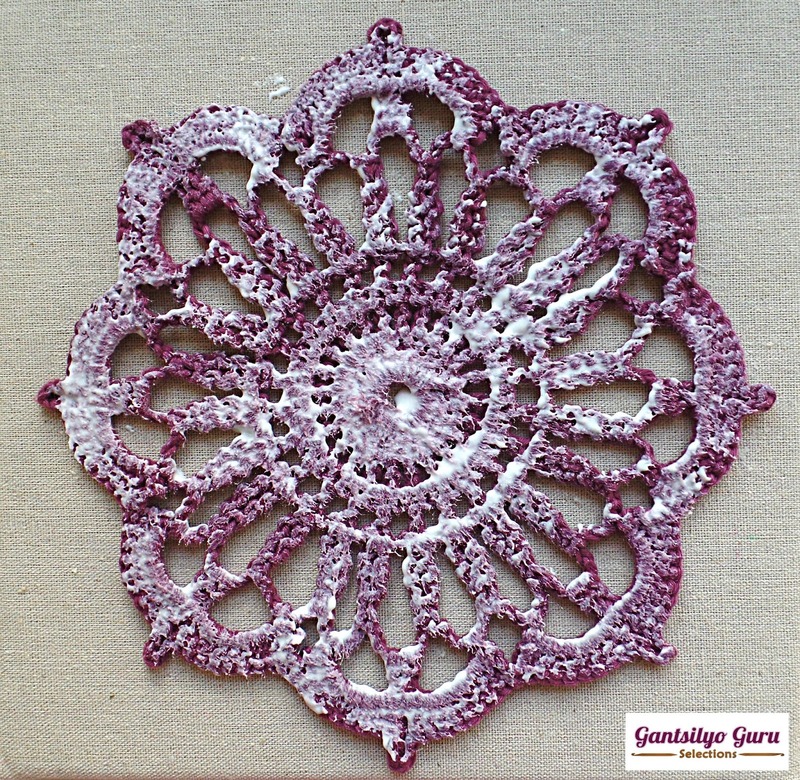 You can hang this or put it on display using a small easel.